8. 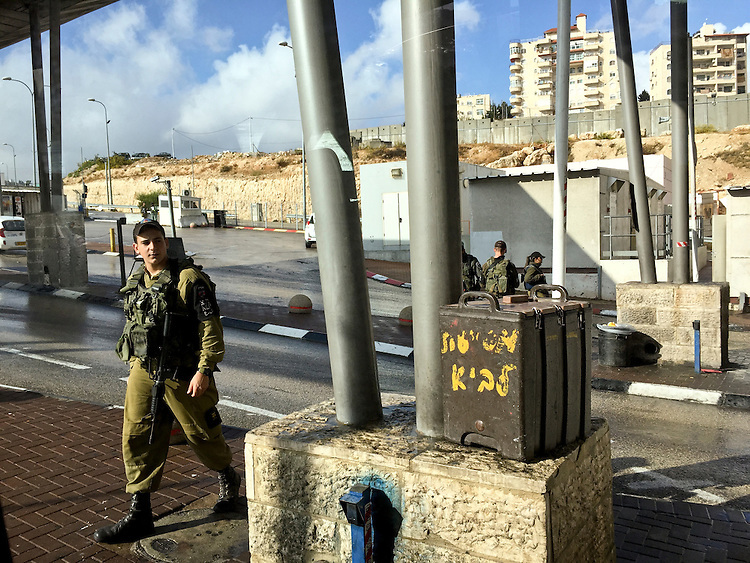 "Checkpoint": entrance to Jerusalem. While we stop momentarily at this security checkpoint, a young male soldier strides past our vehicle. He looks toward us, but pays us no mind. As visiting Americans, we'll be waved through without further ado. Not so for the many others who must often navigate this passage.